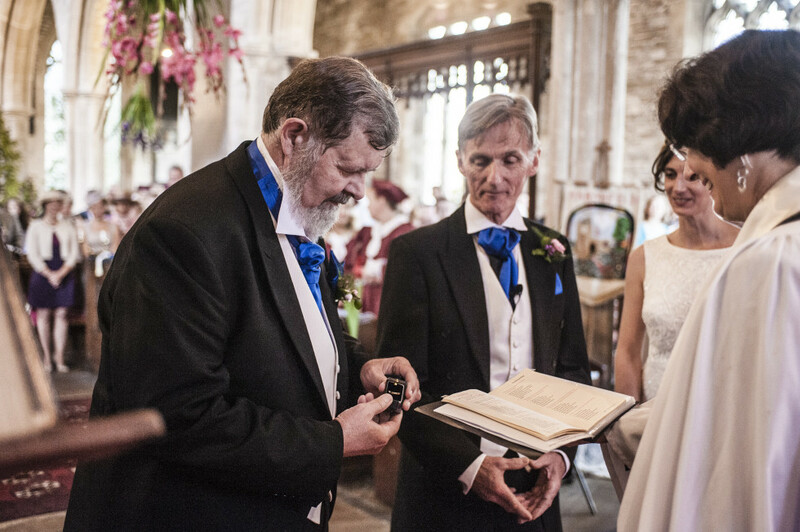 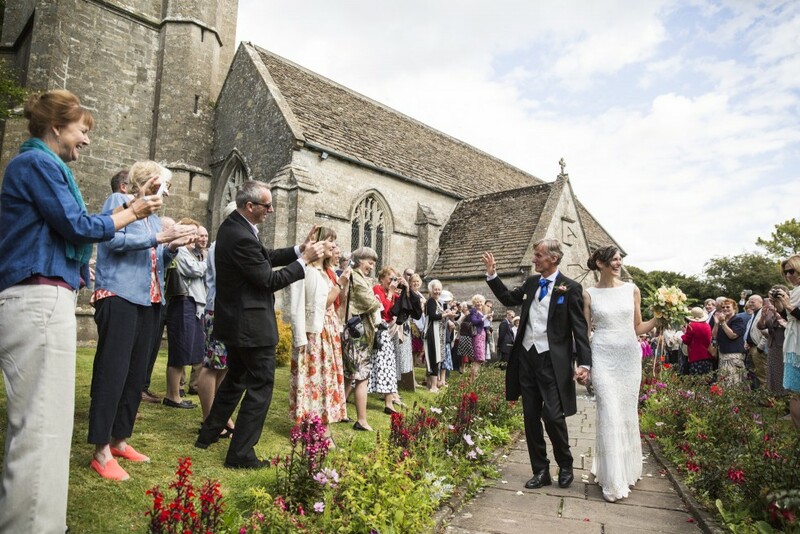 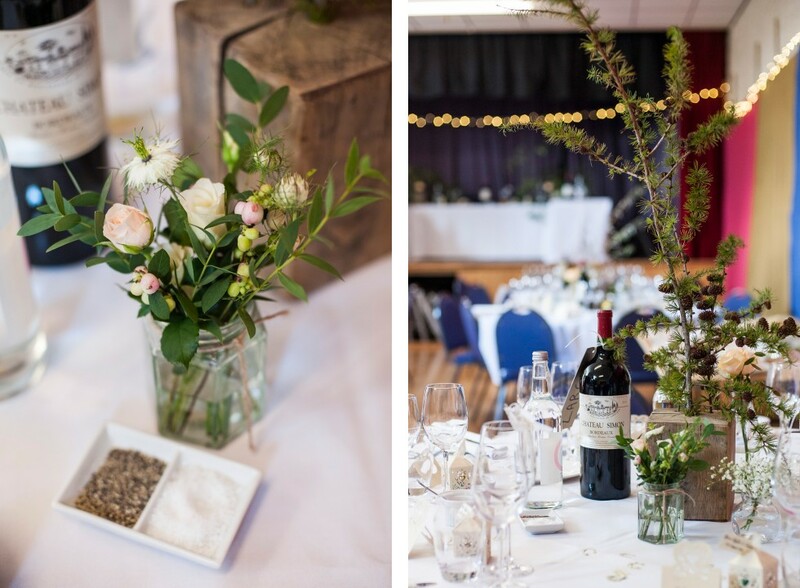 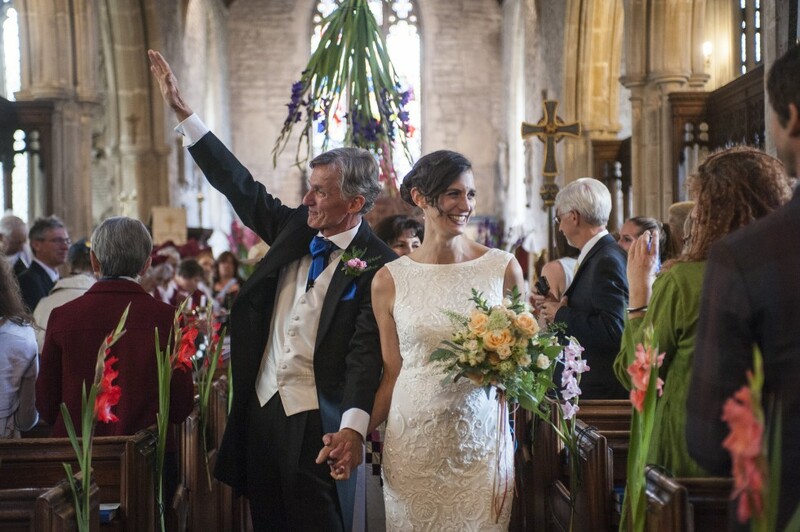 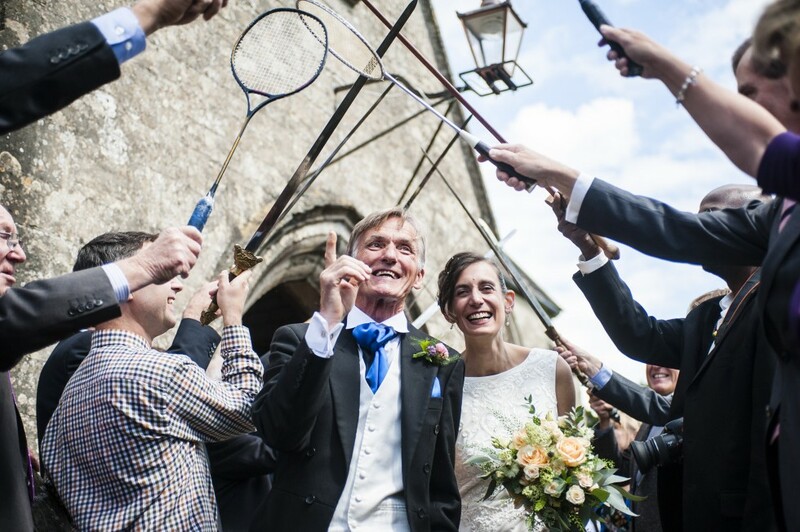 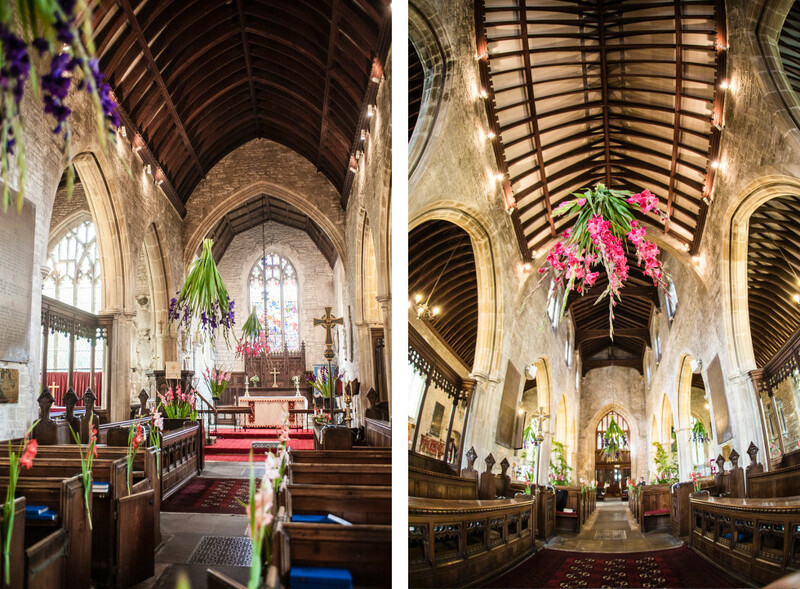 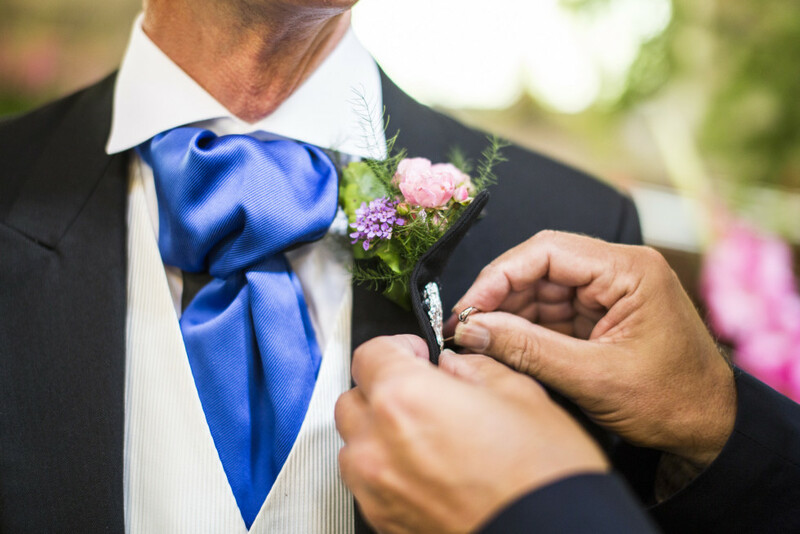 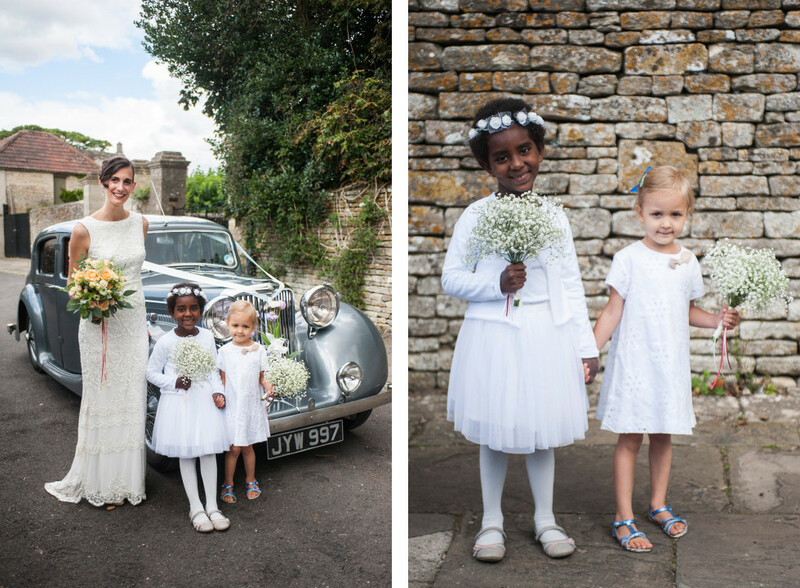 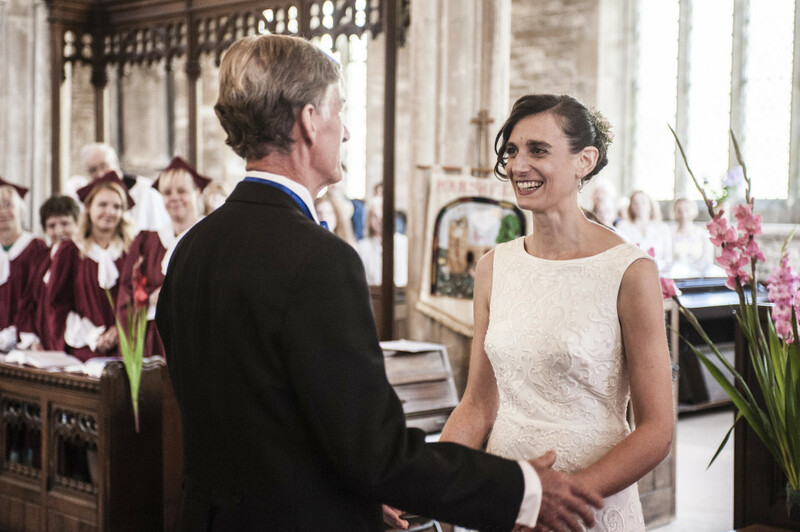 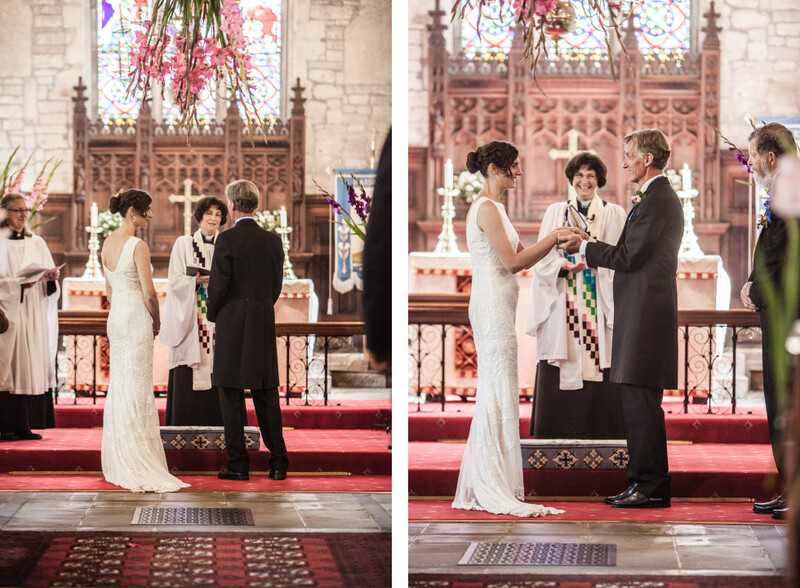 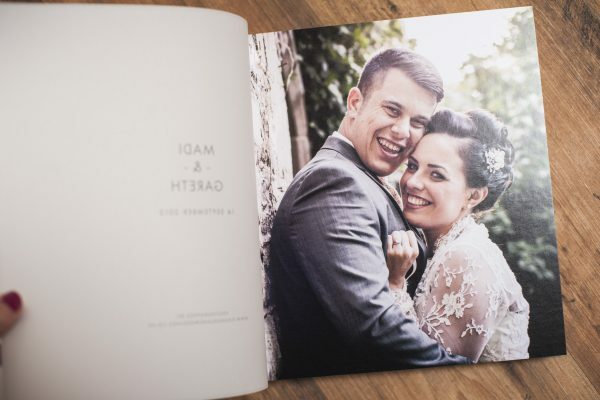 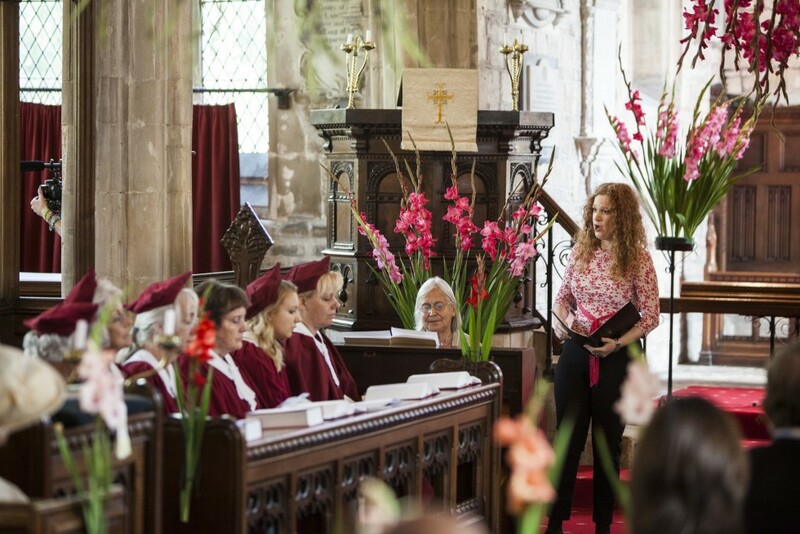 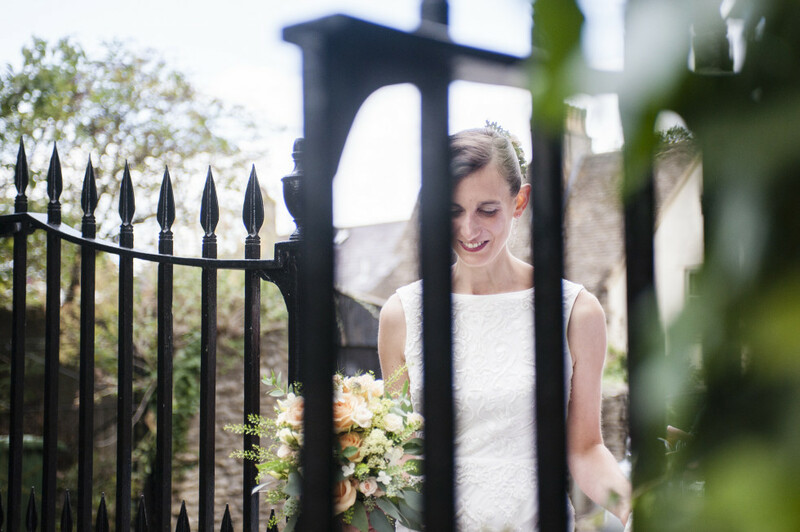 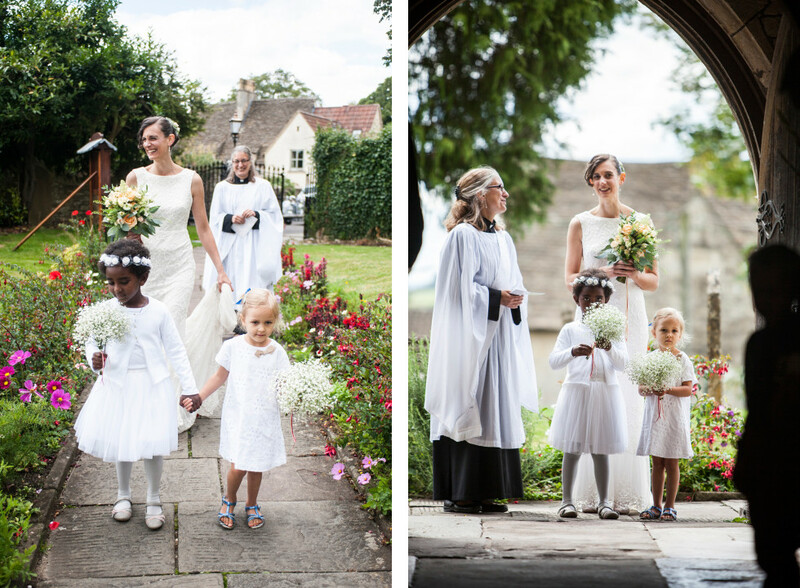 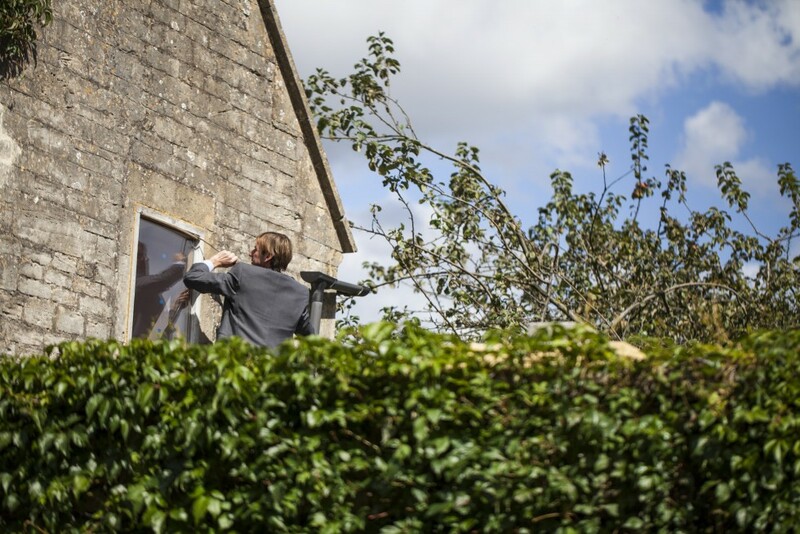 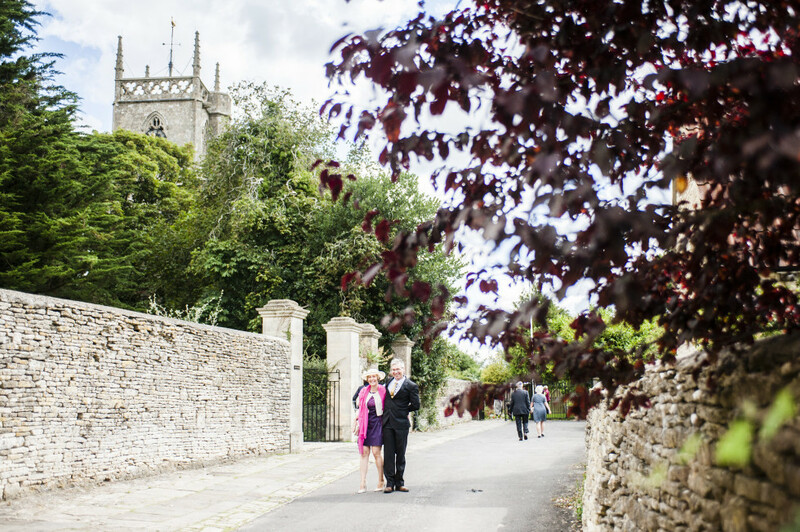 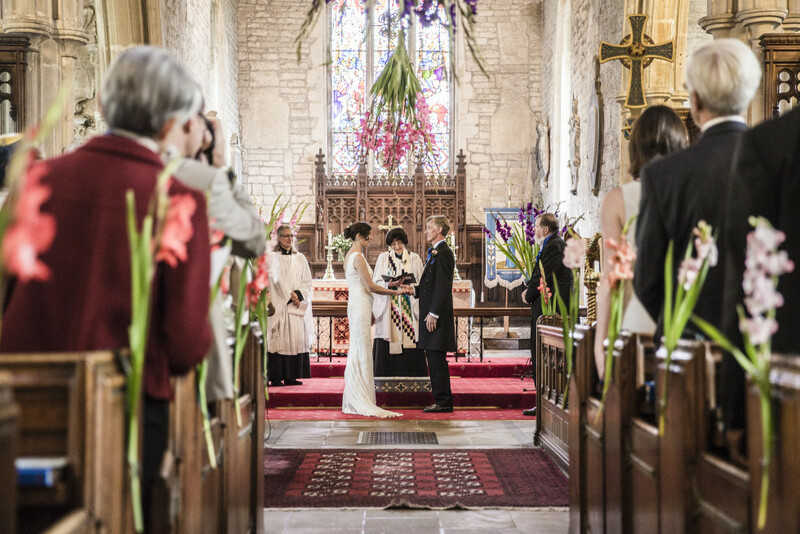 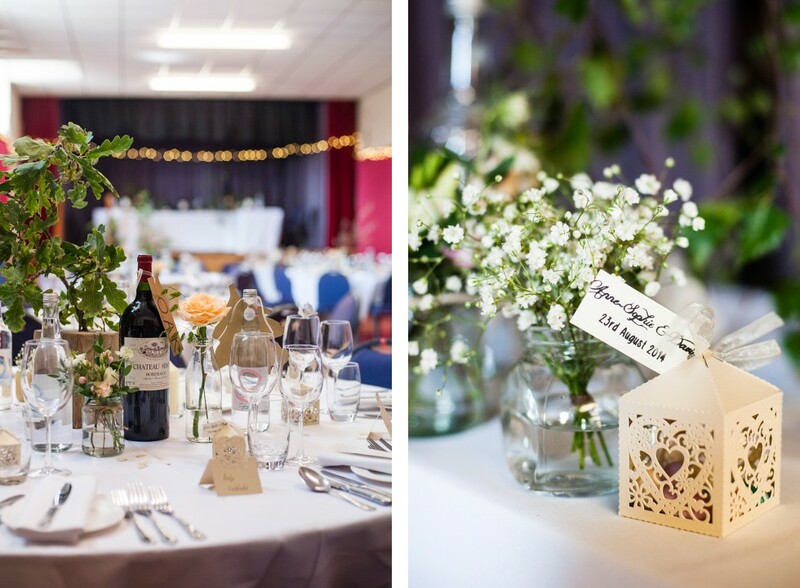 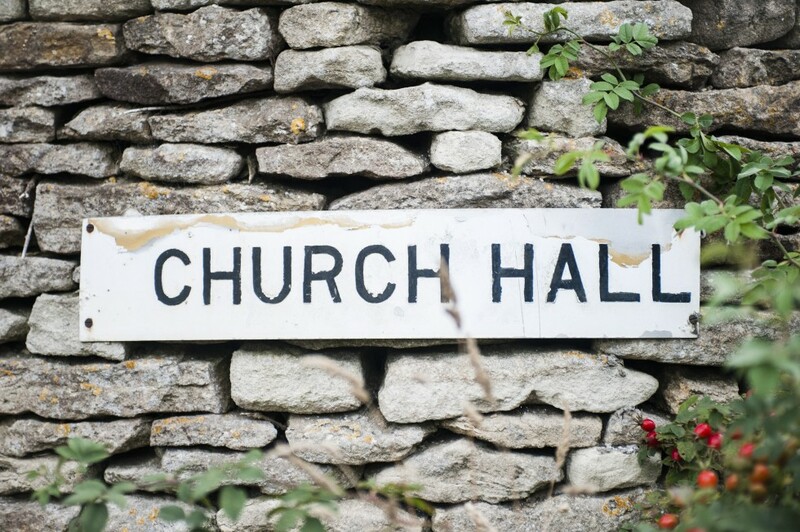 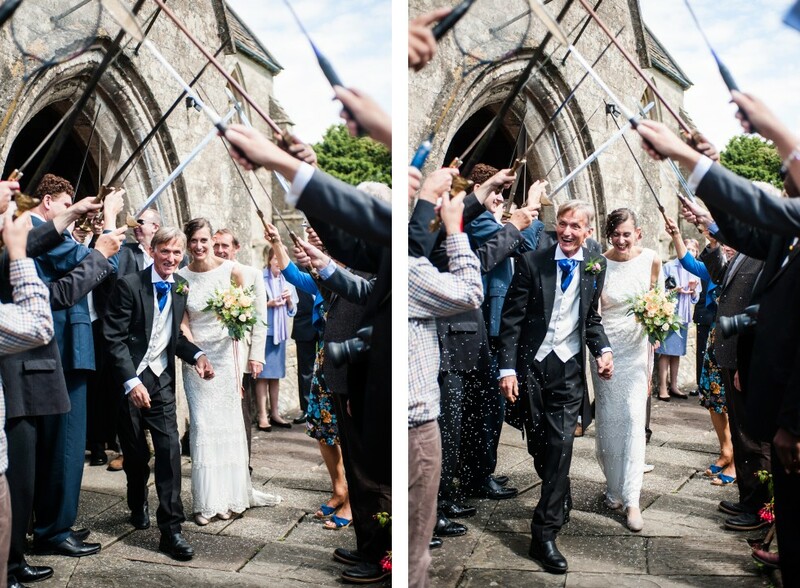 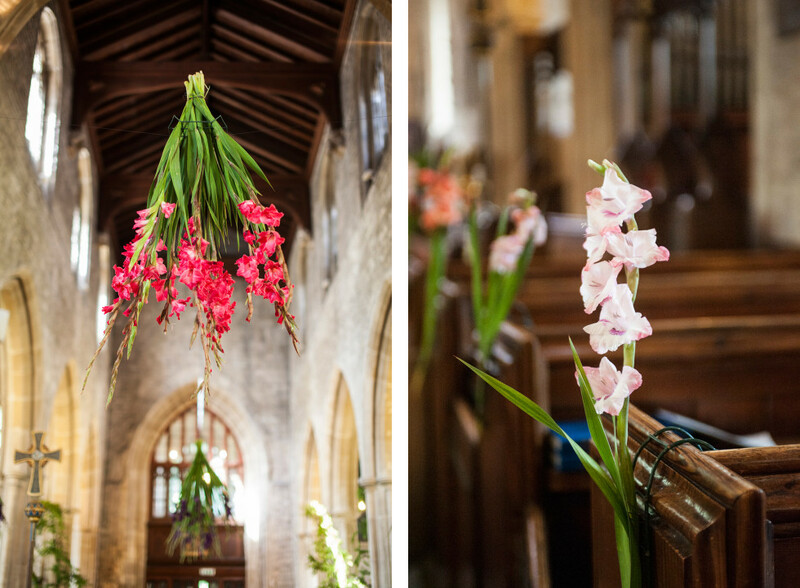 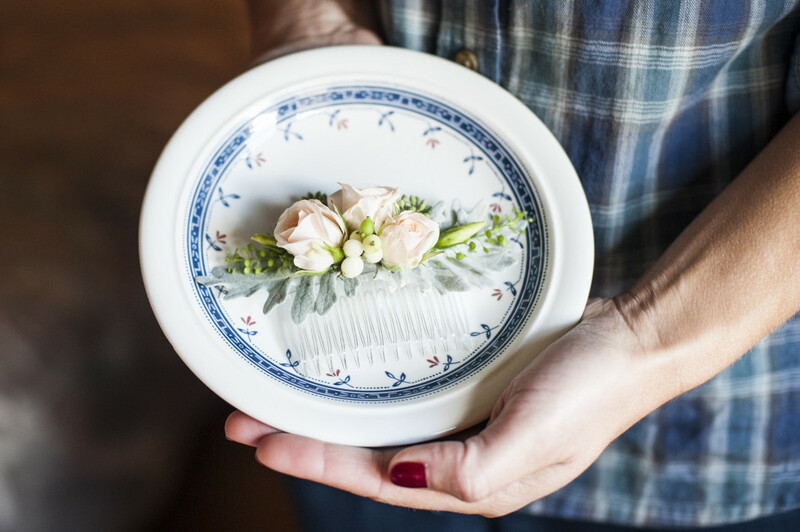 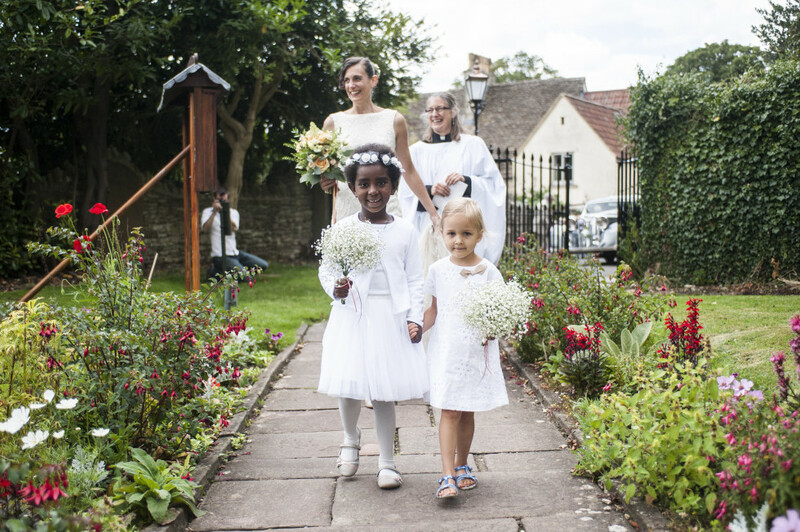 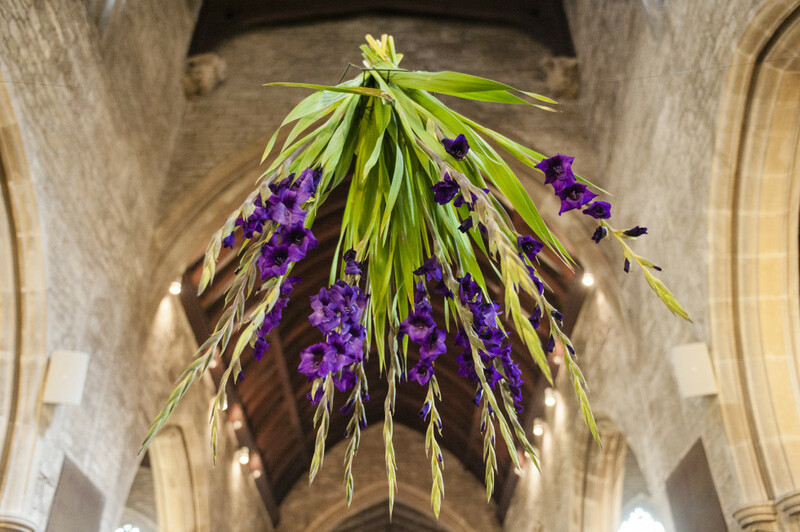 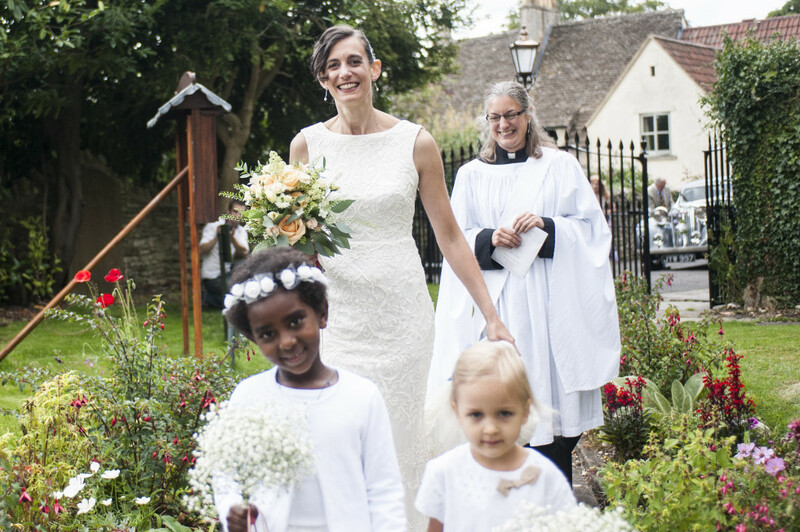 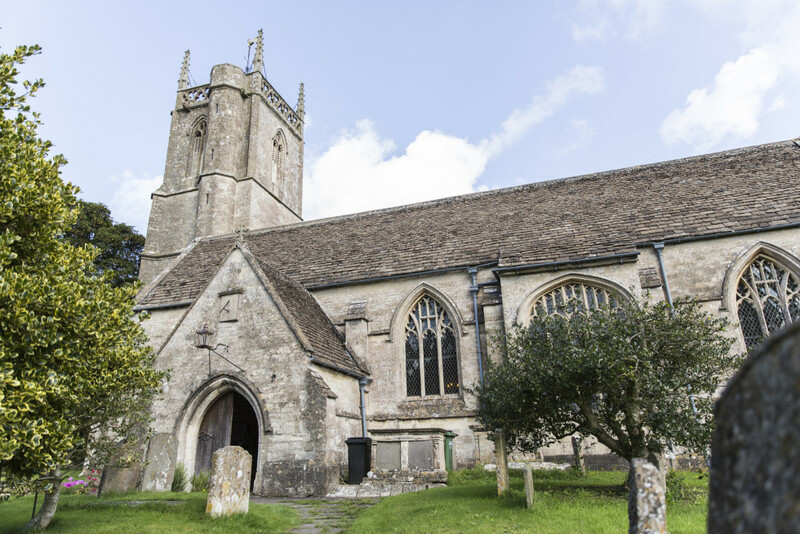 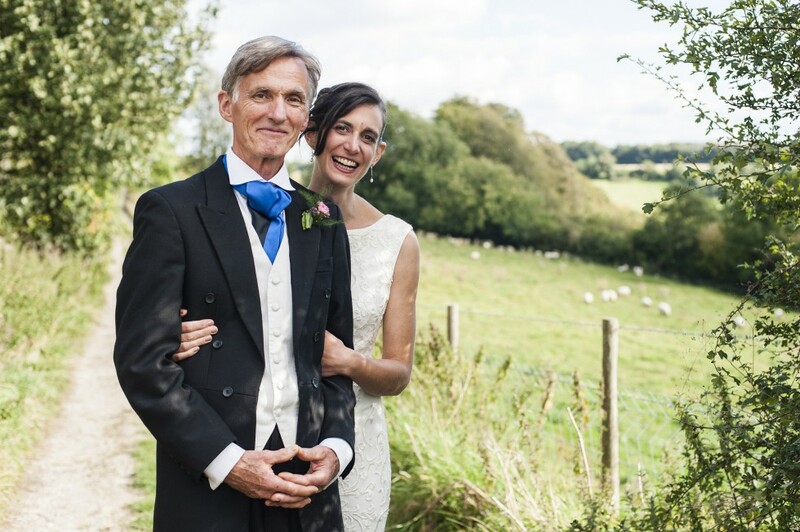 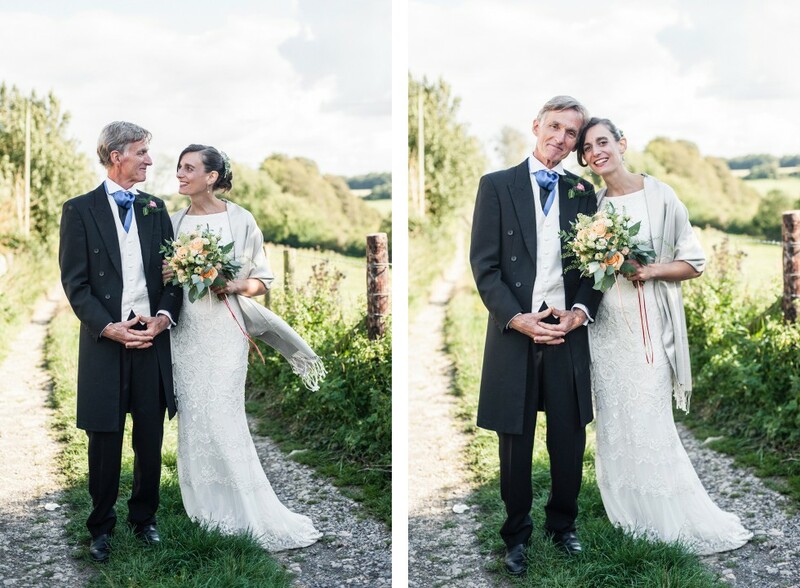 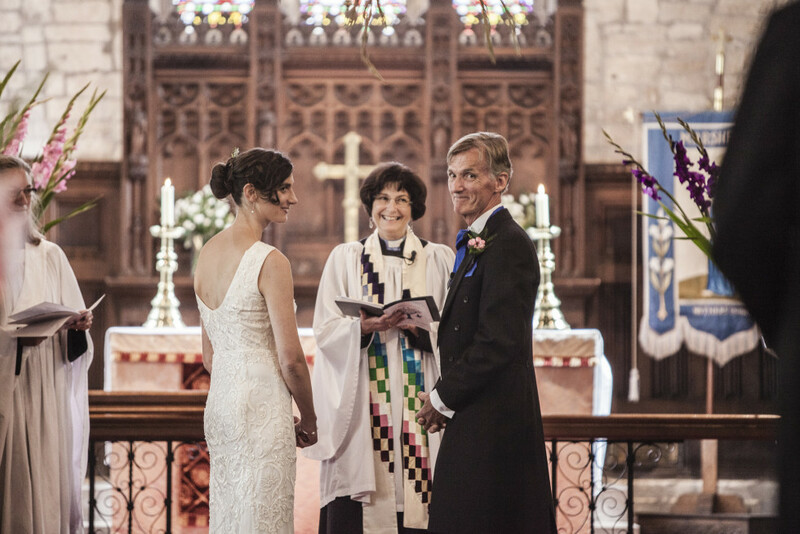 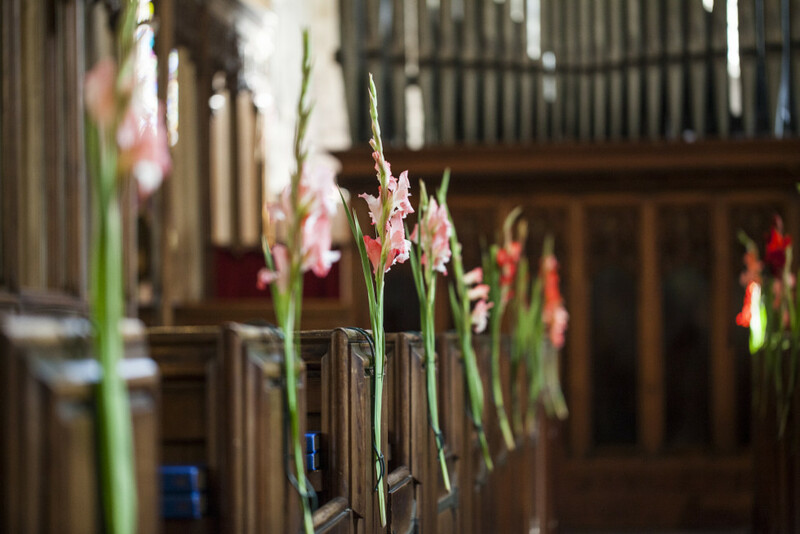 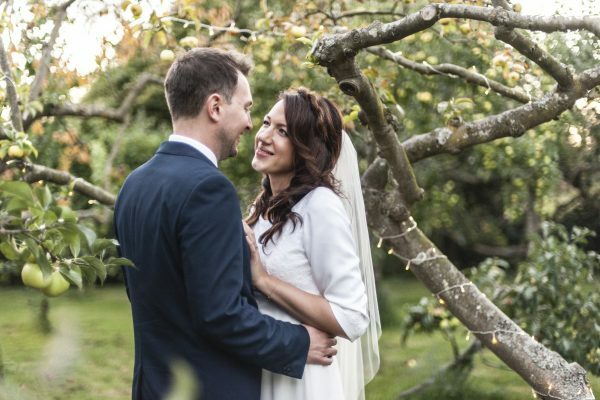 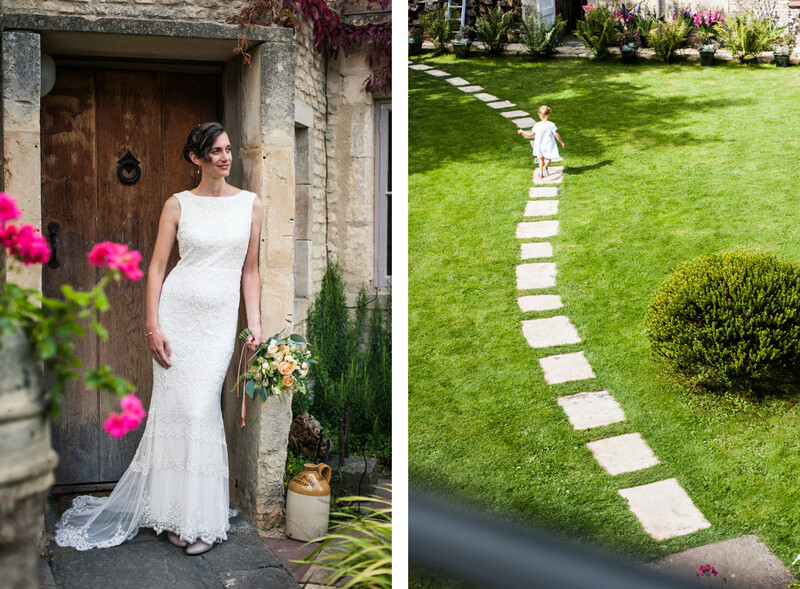 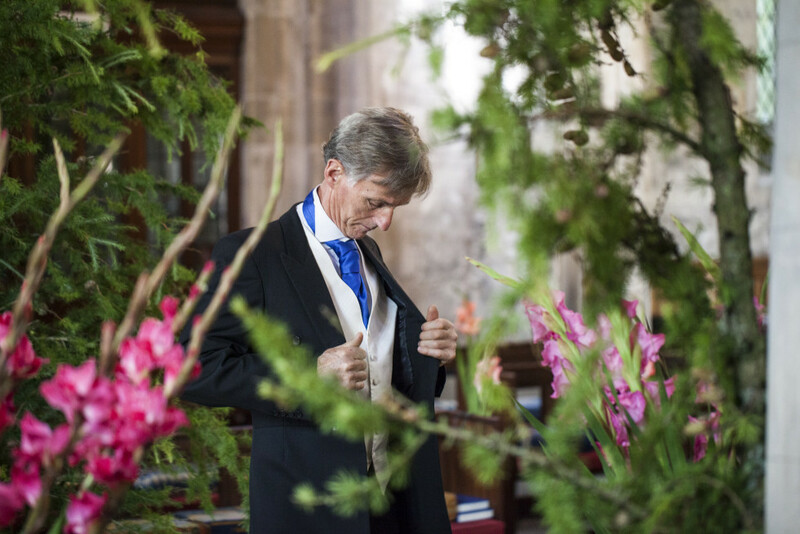 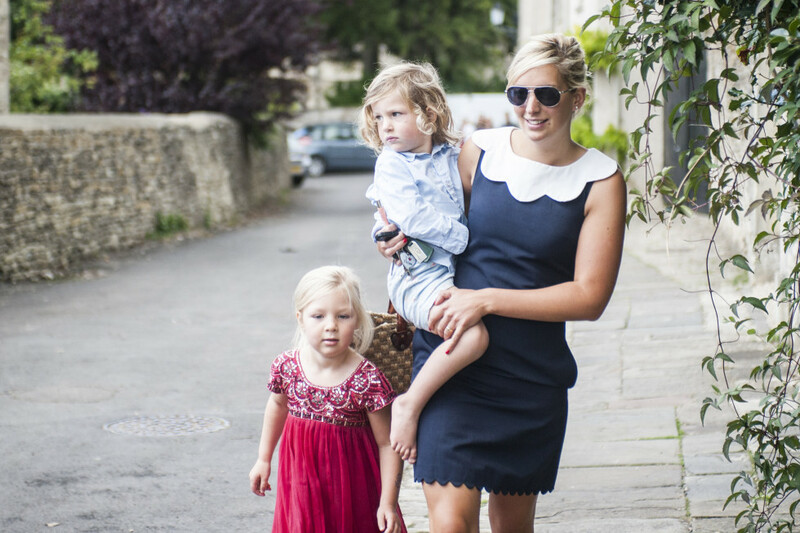 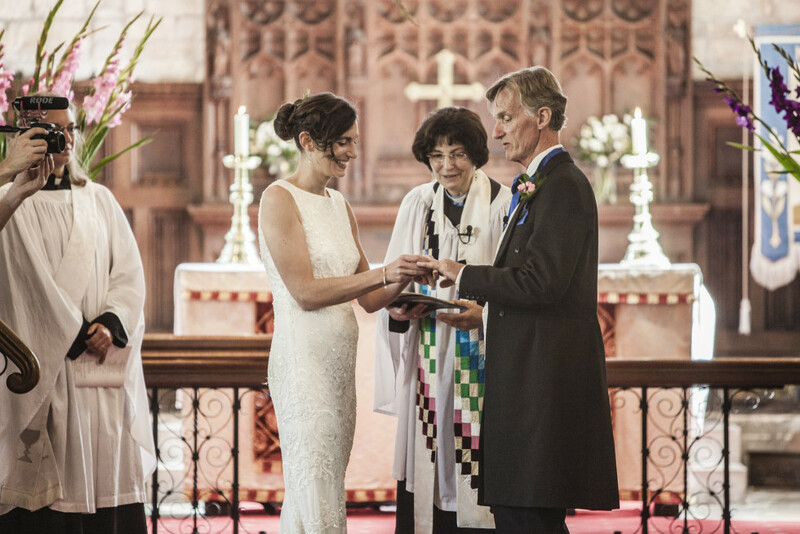 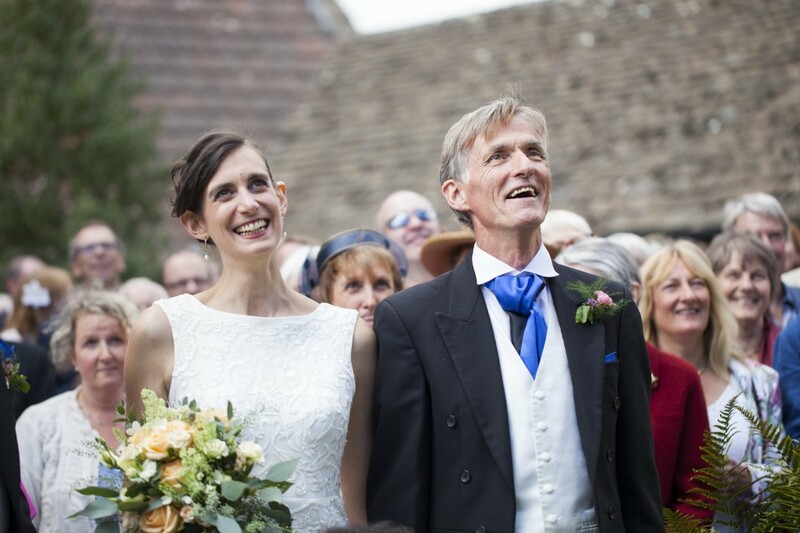 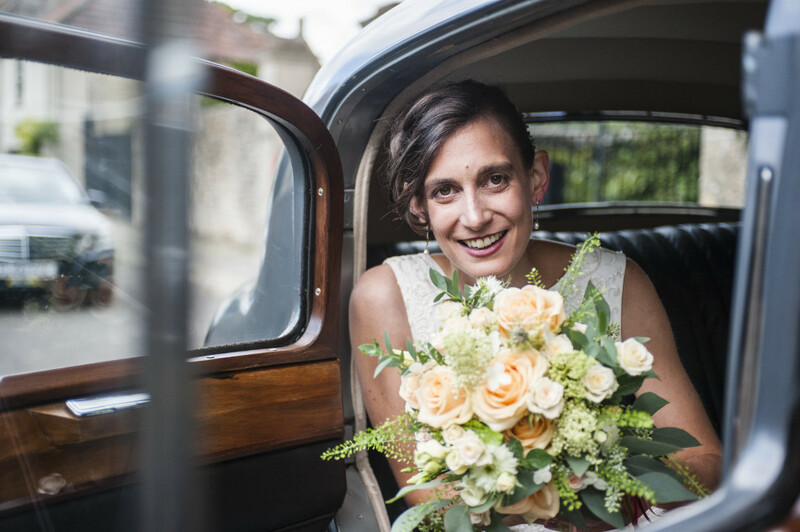 Anne-Sophie & David were married at their local church in the picturesque English village of Marshfield (think lots of Bath stone and quaint terraced cottages). 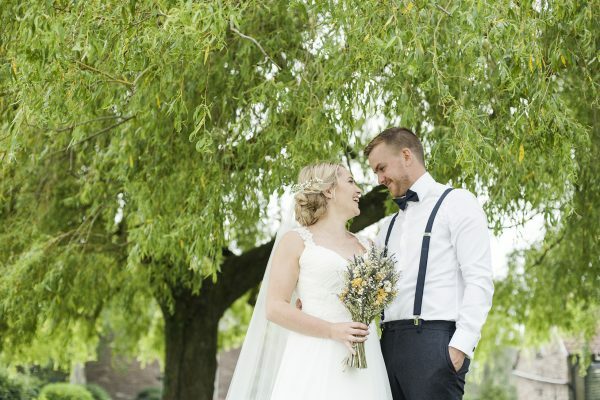 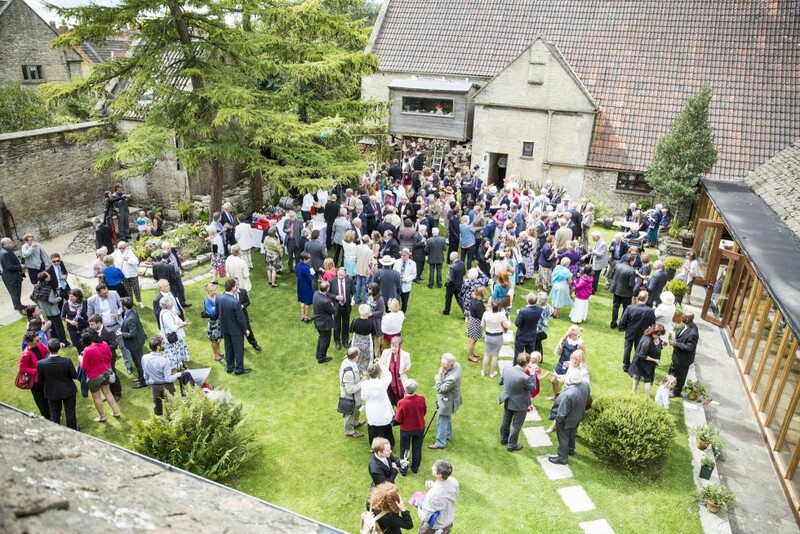 After the ceremony, guests strolled back through the village to the couple’s coach house for a bustling cocktail reception in the garden. 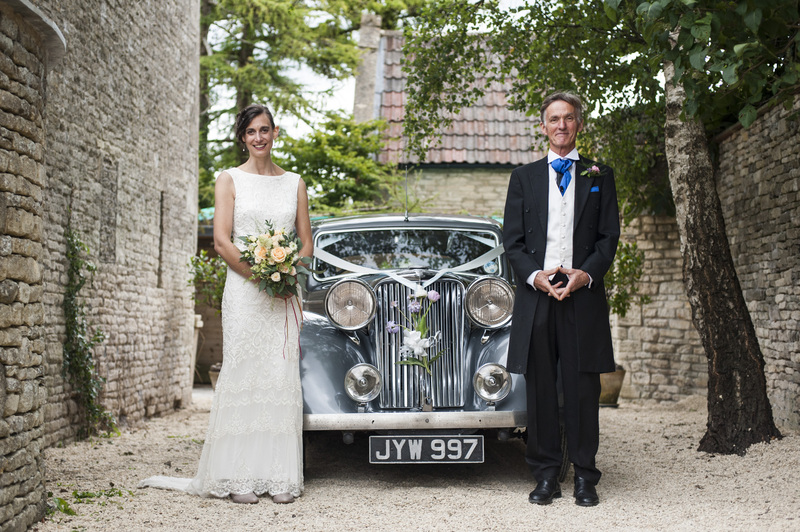 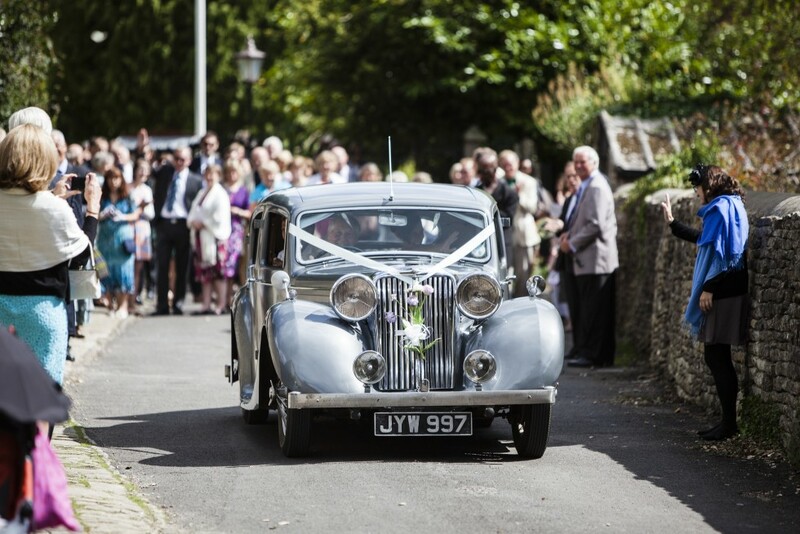 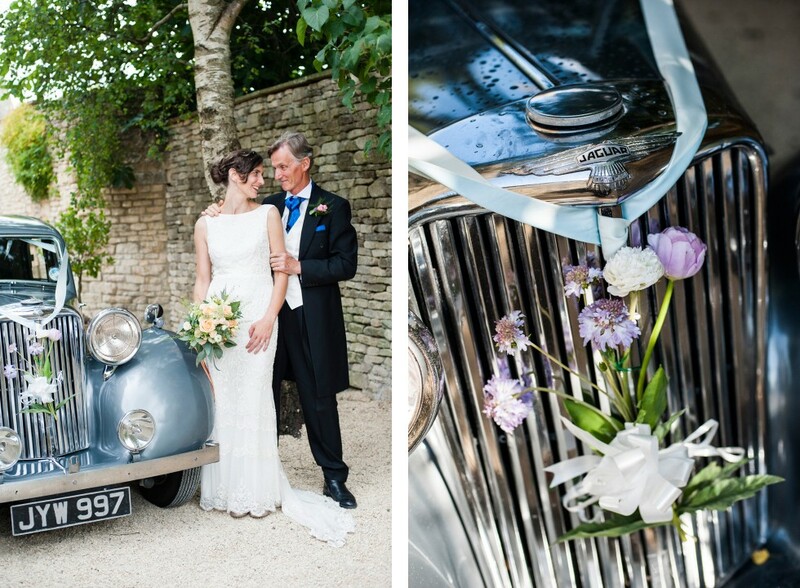 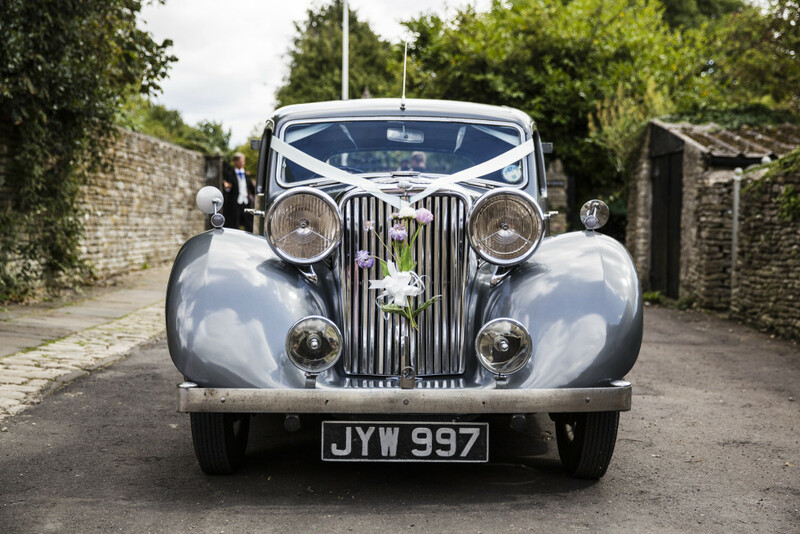 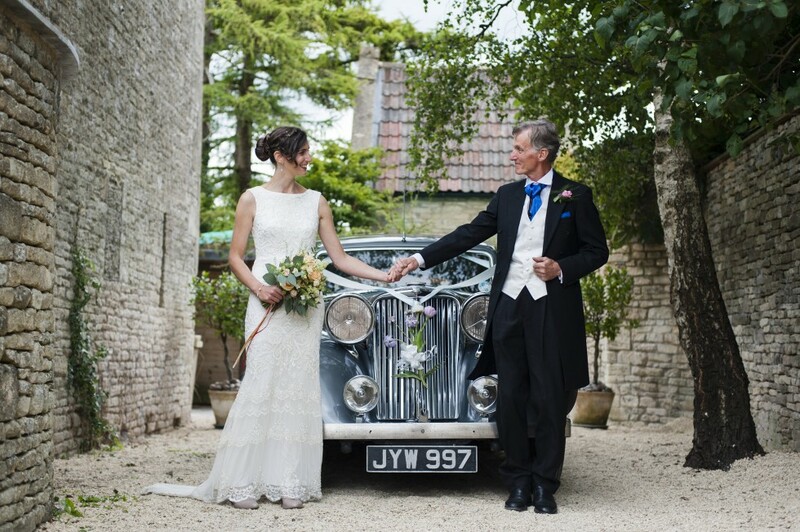 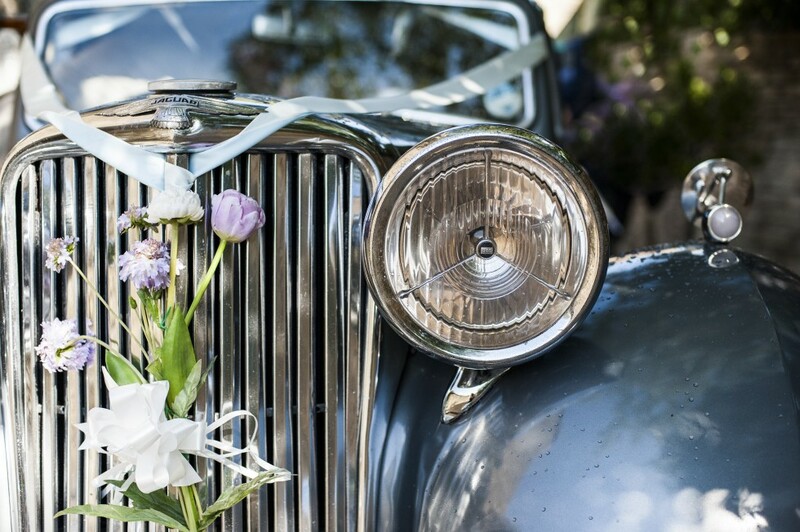 Anne-Sophie & David made the journey in a friend’s vintage 1940s Jaguar for a bit of extra glamour! 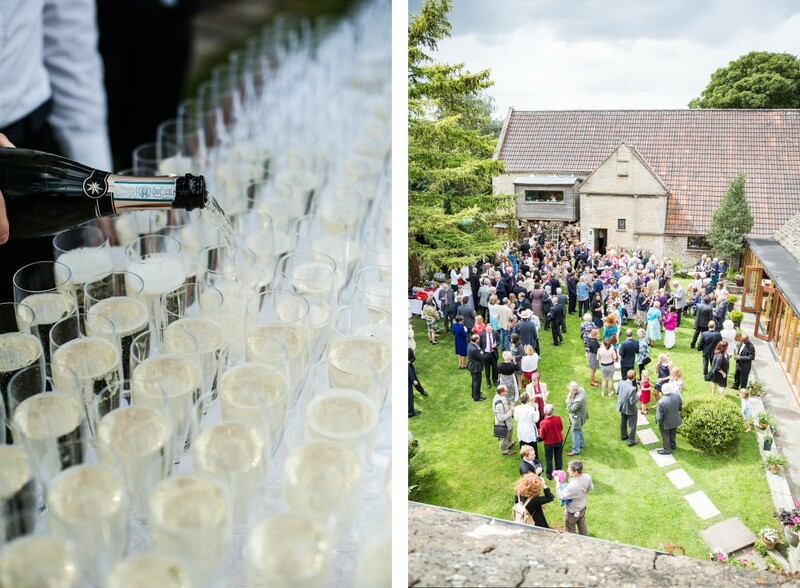 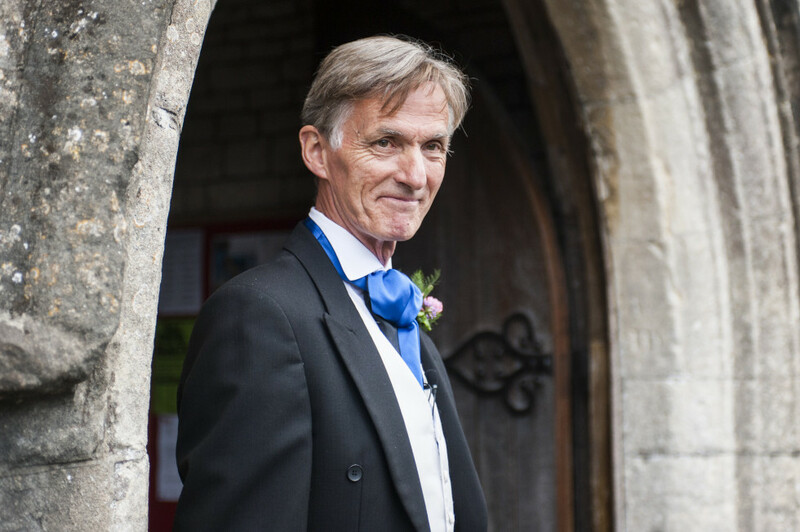 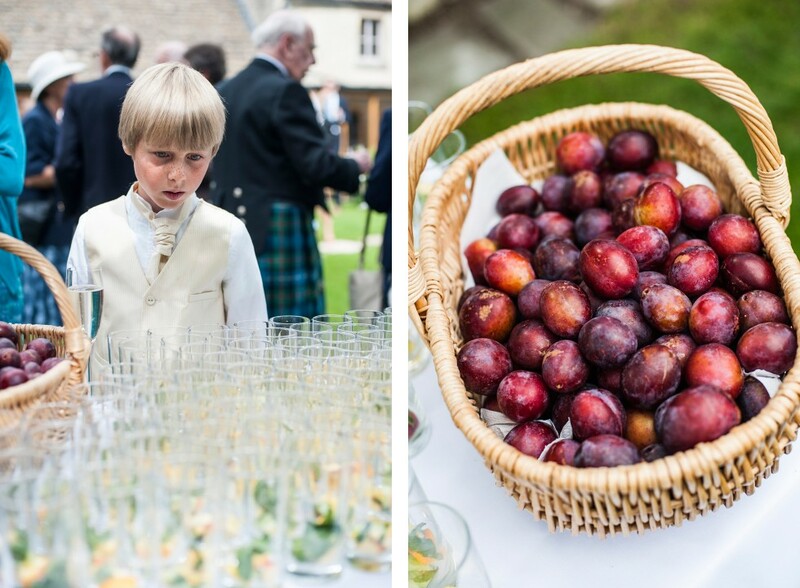 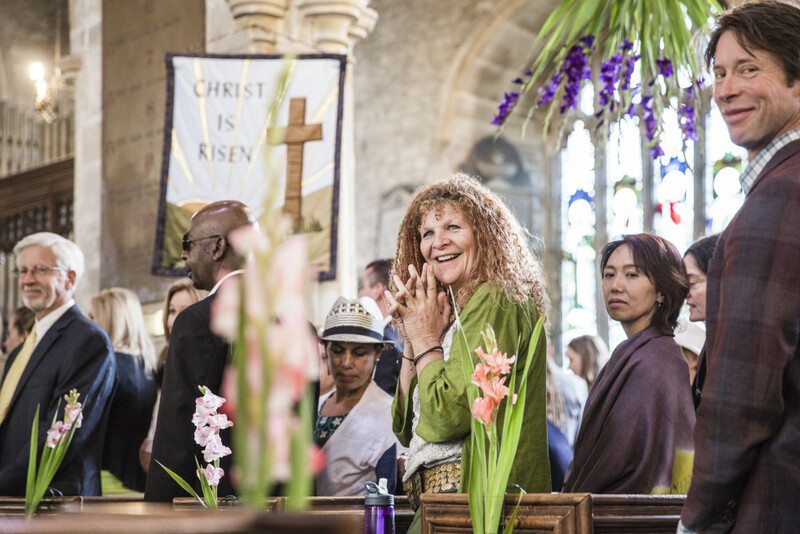 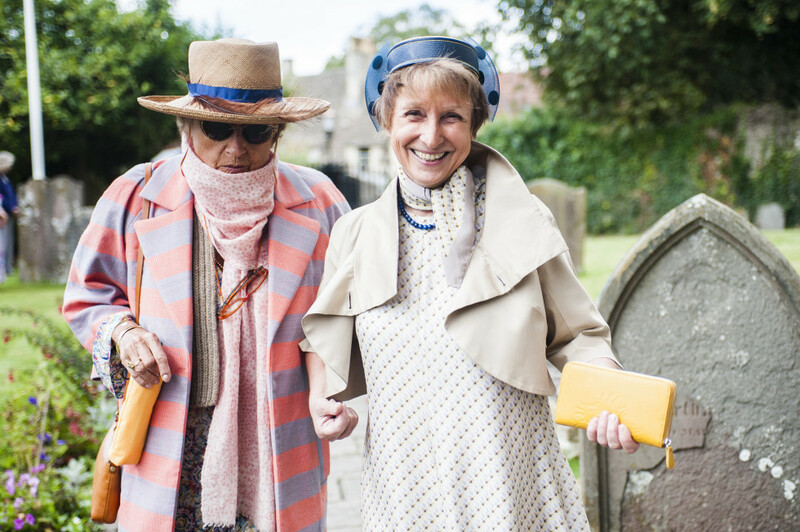 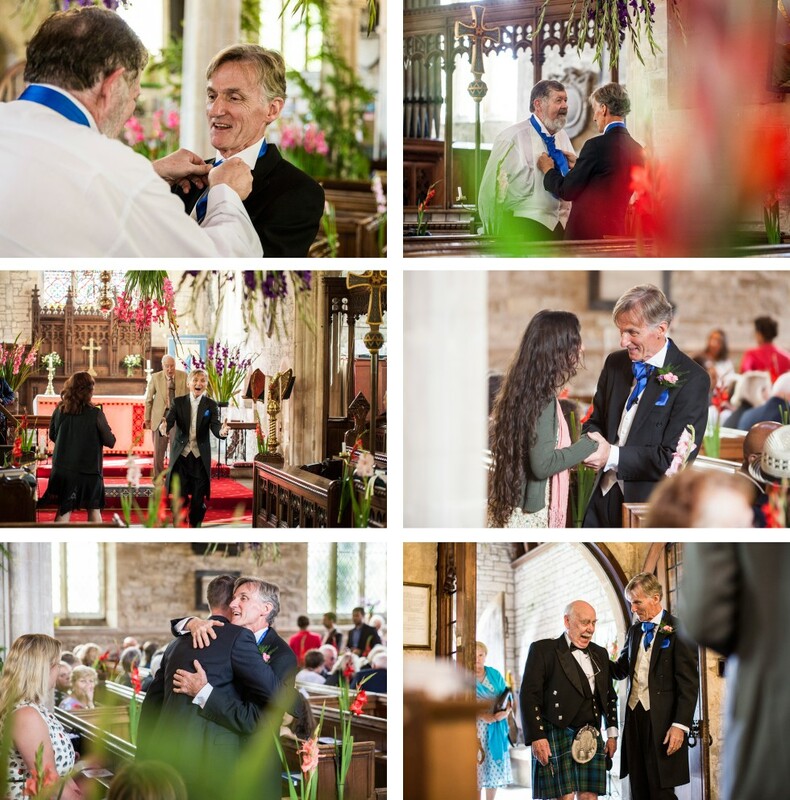 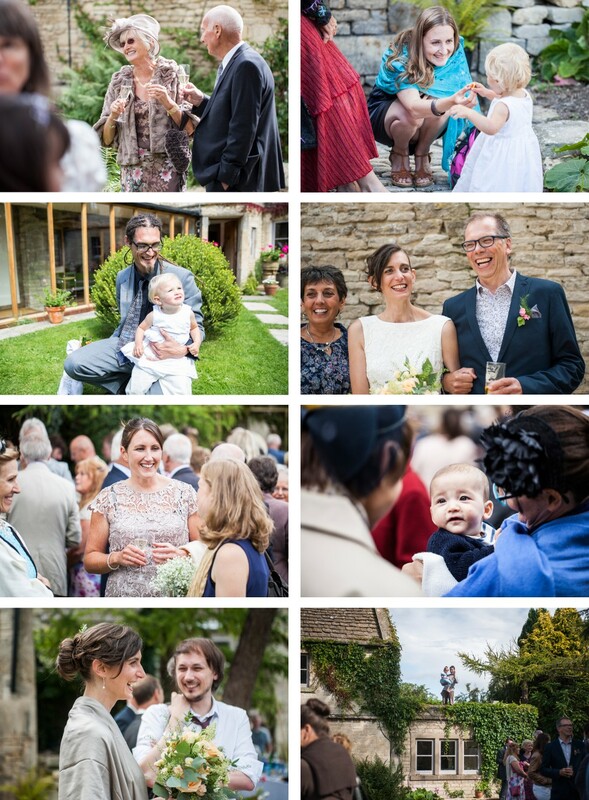 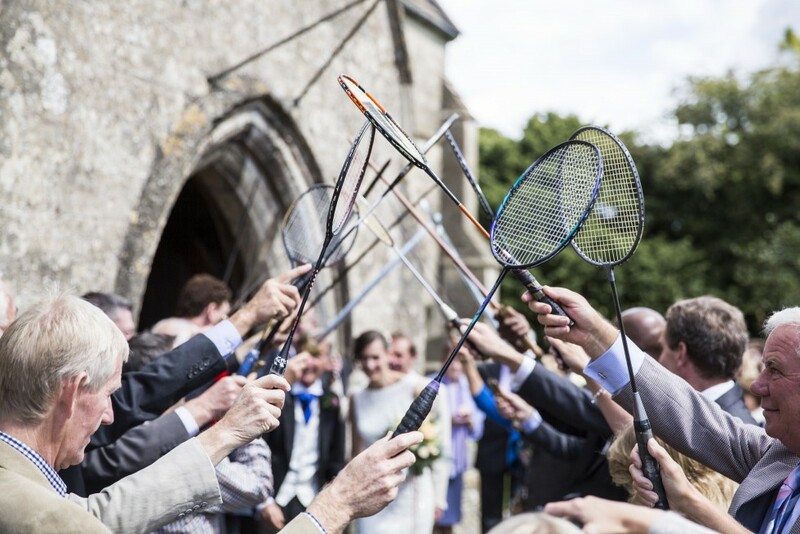 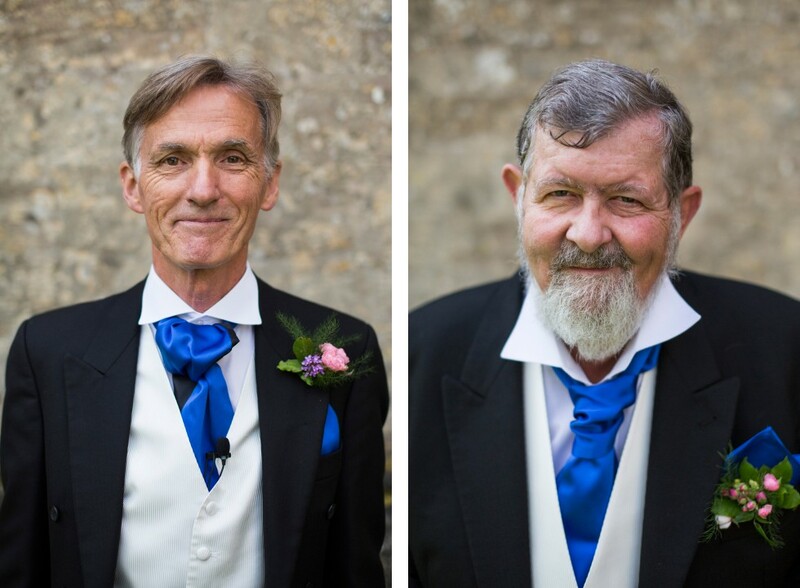 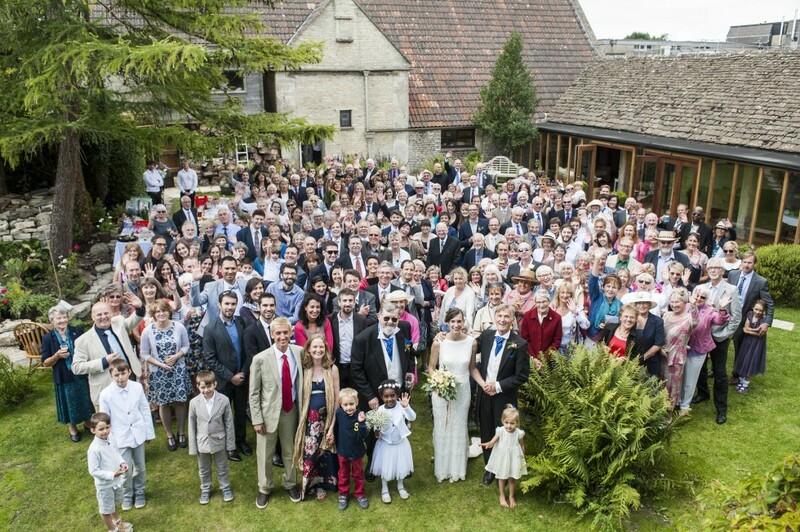 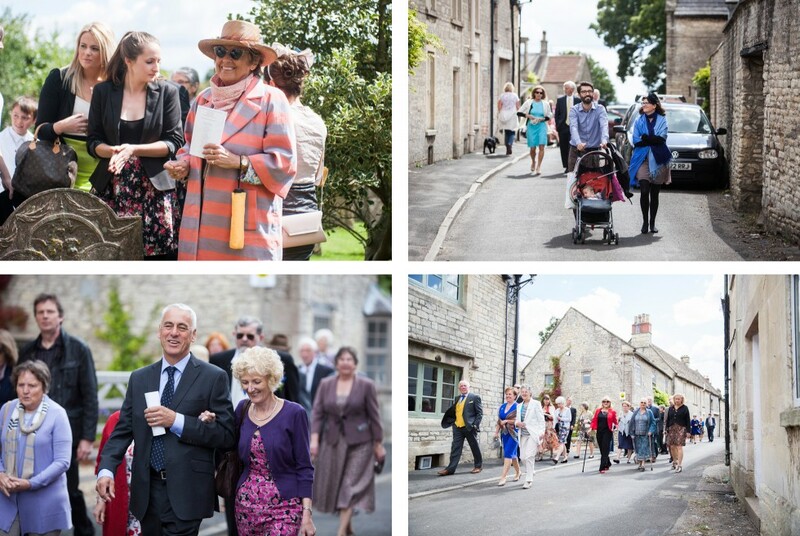 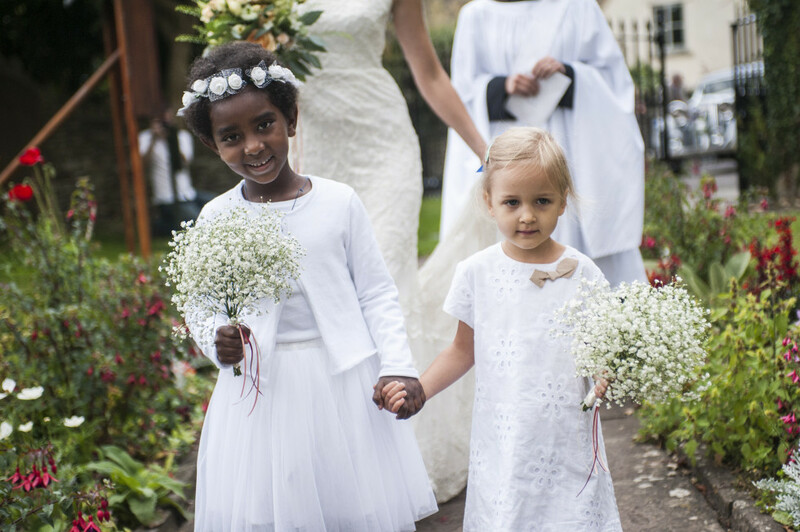 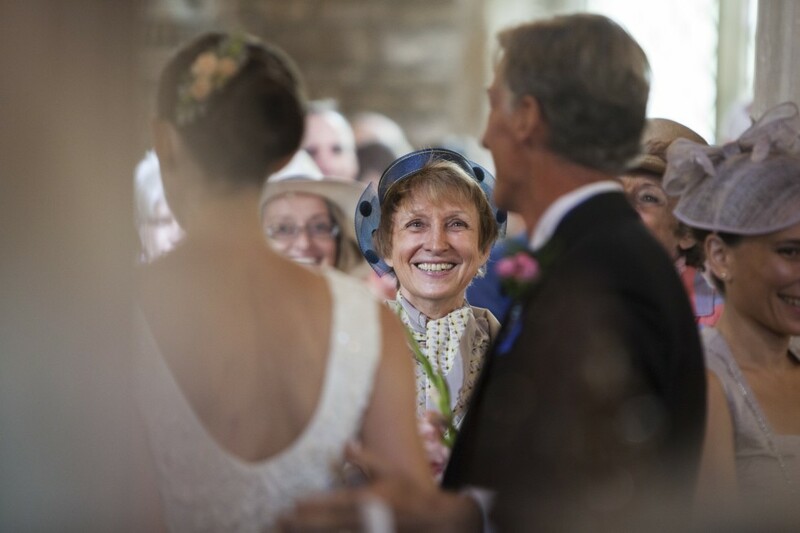 The wedding day was a pleasure to photograph – a lovely relaxed French/English country mish-mash – filled to bursting with friends from all over the world (& most of the population of their village!). 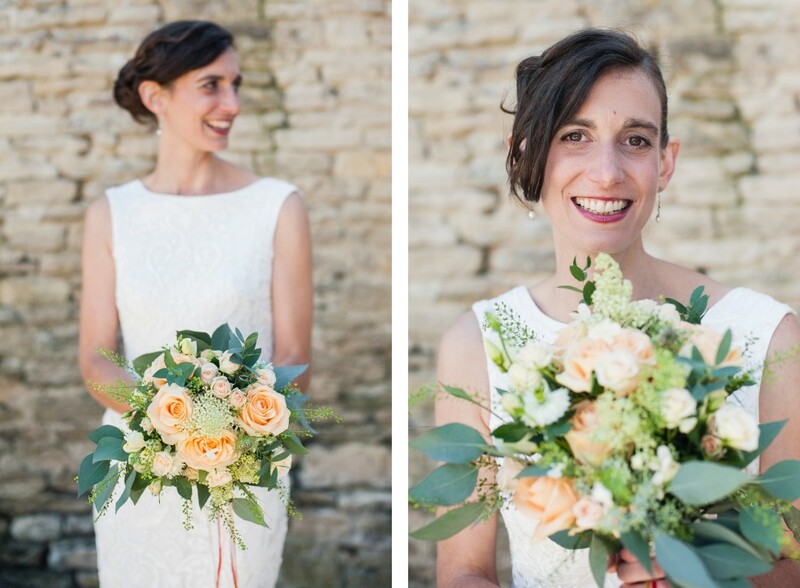 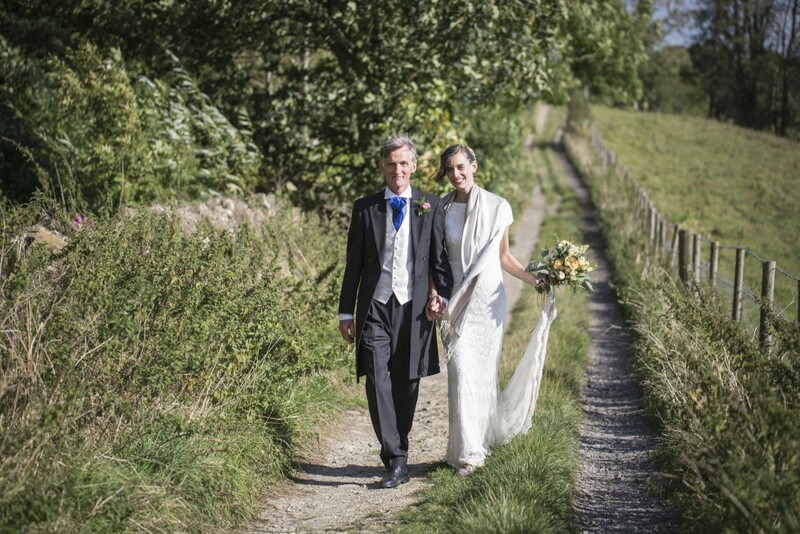 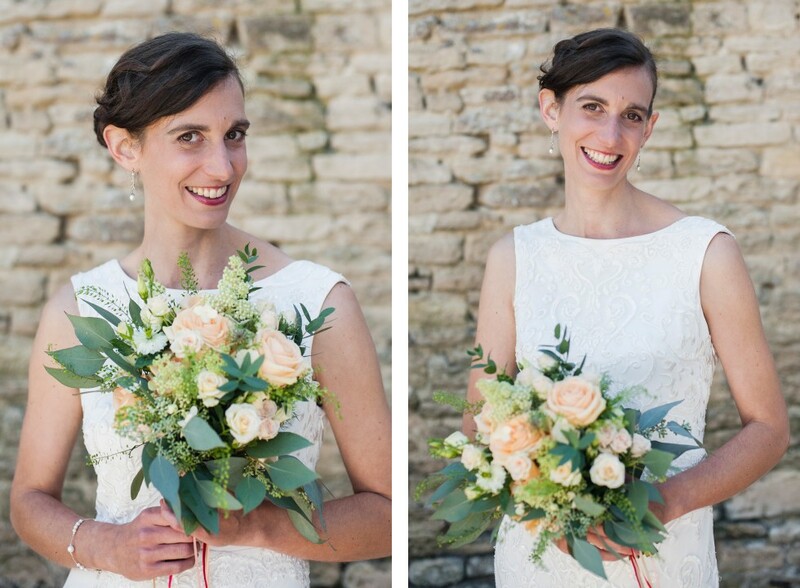 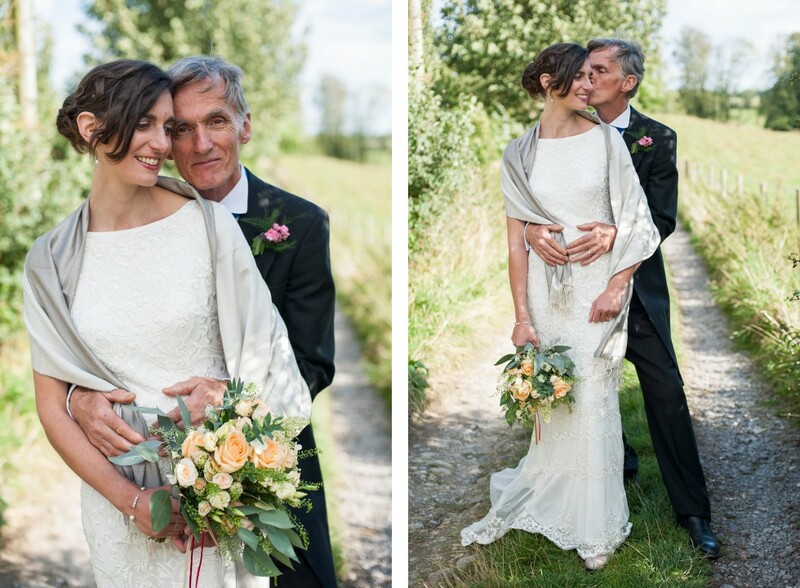 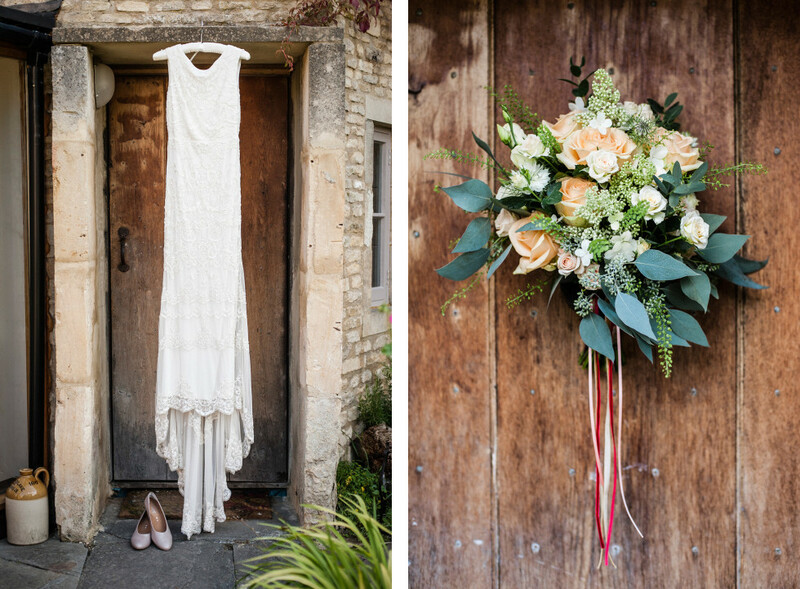 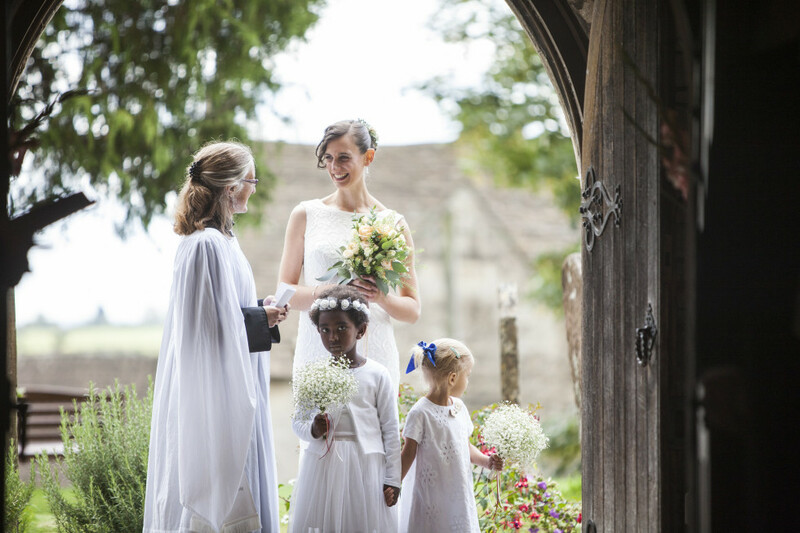 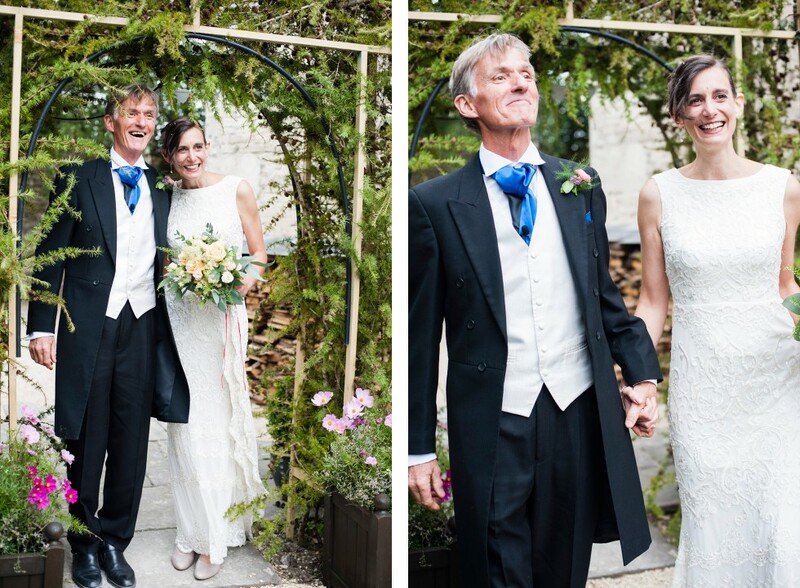 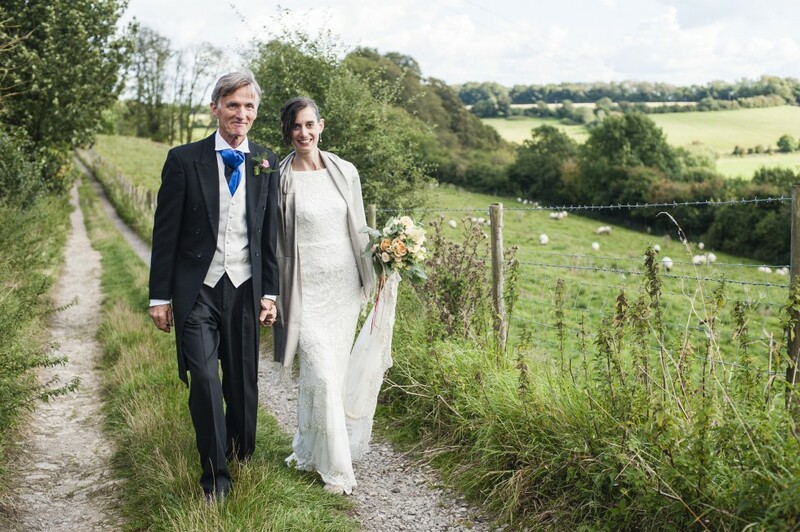 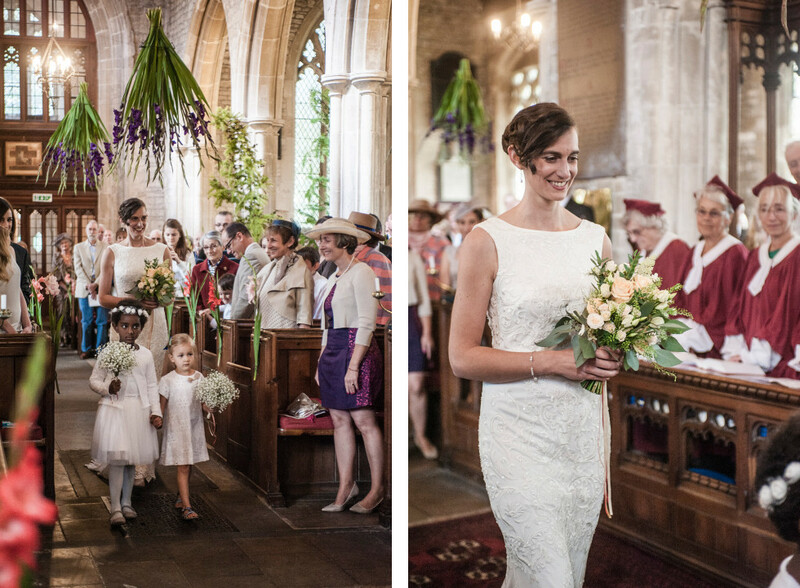 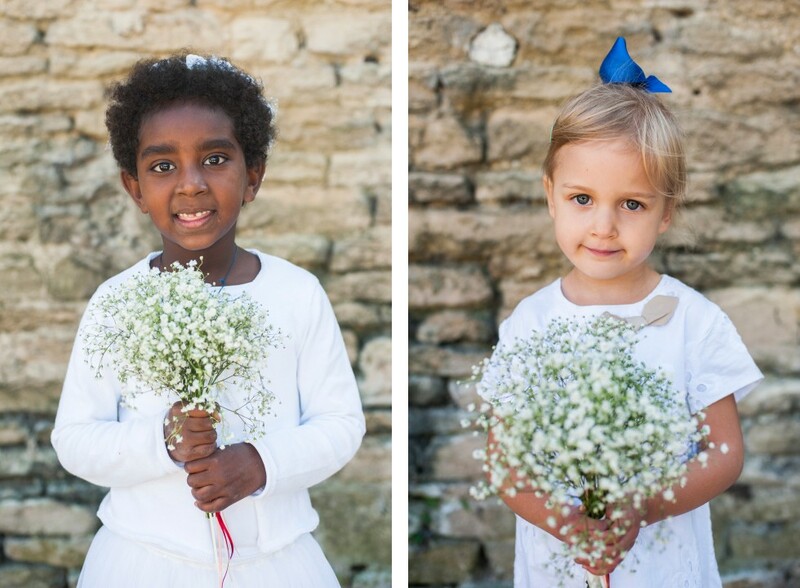 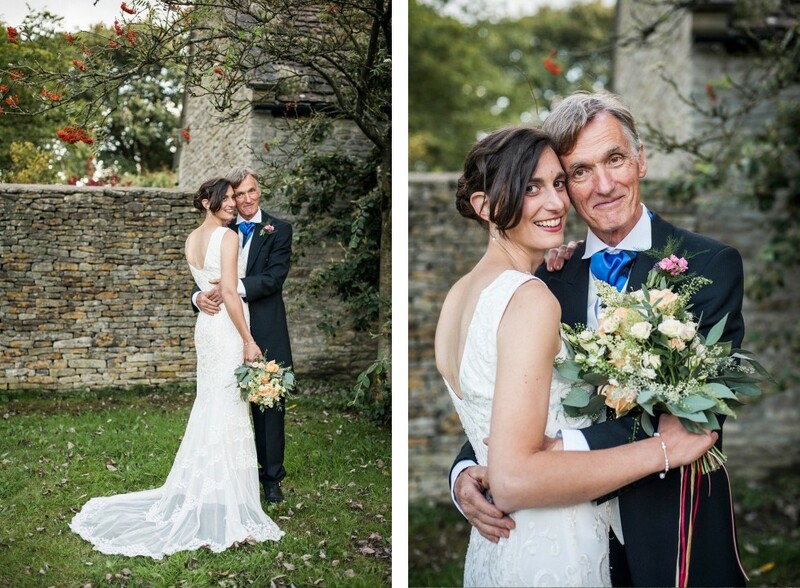 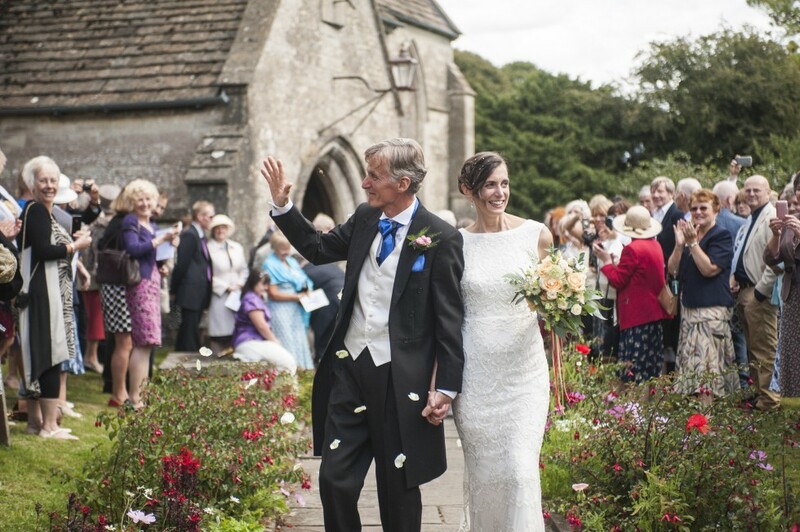 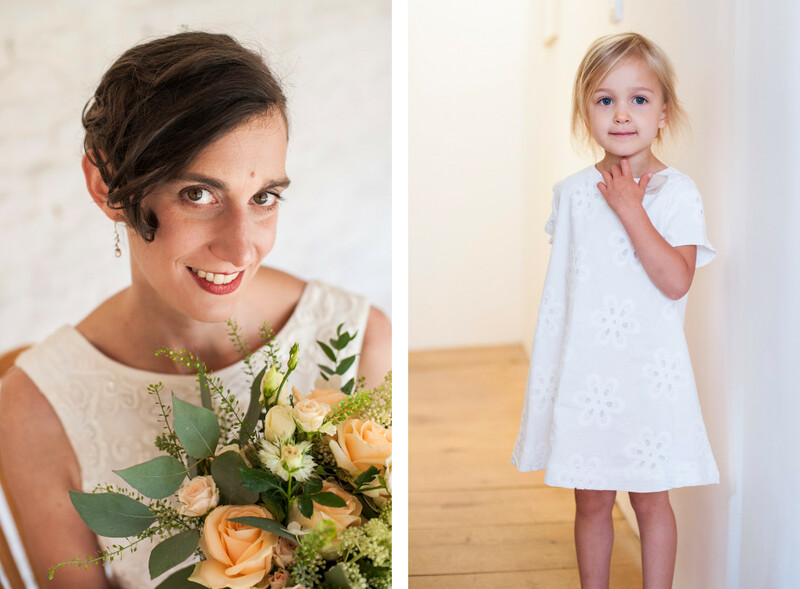 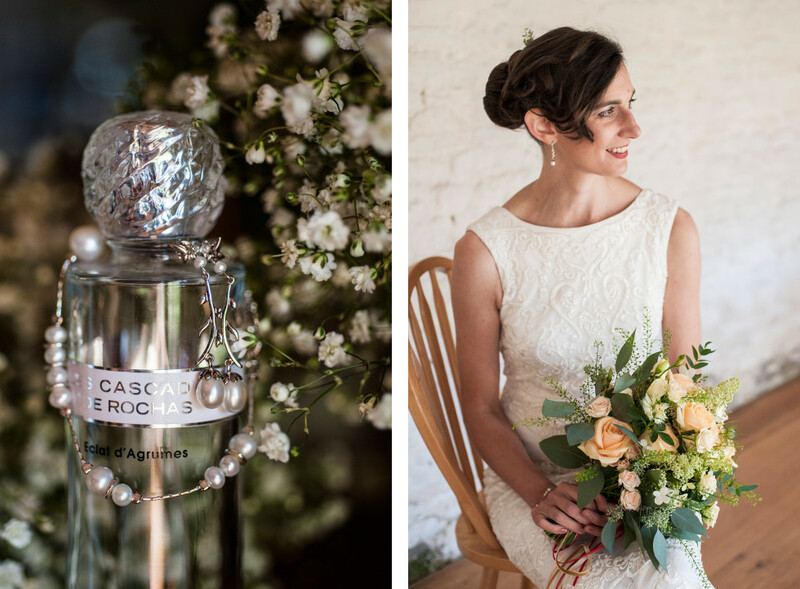 Anne-Sophie wore a Monsoon bridal gown and her rustic bouquet was from Me & My Flowers of Bath. 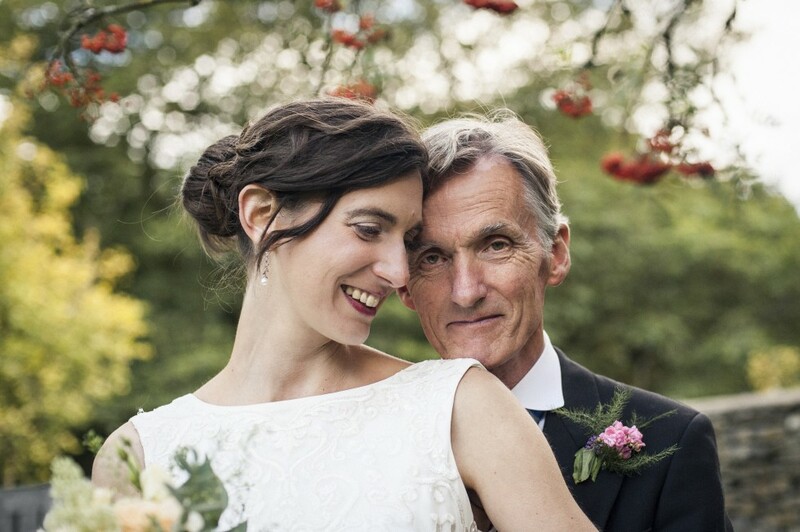 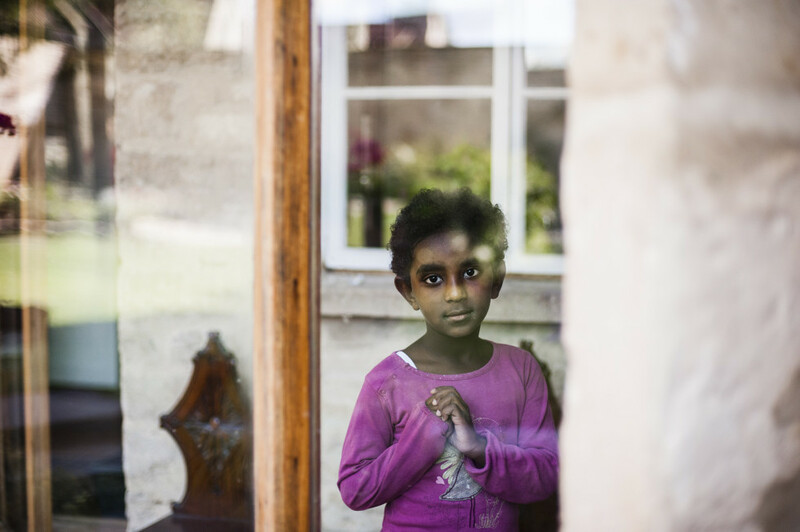 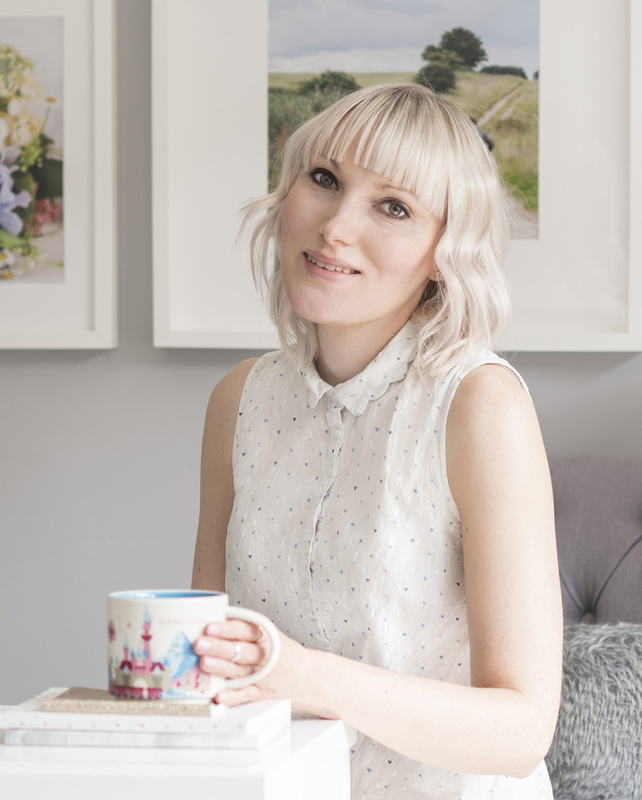 Thank you to Simon for second shooting.